I grew up here so it was immediately apparent why this shape was chosen. Here's a hint. 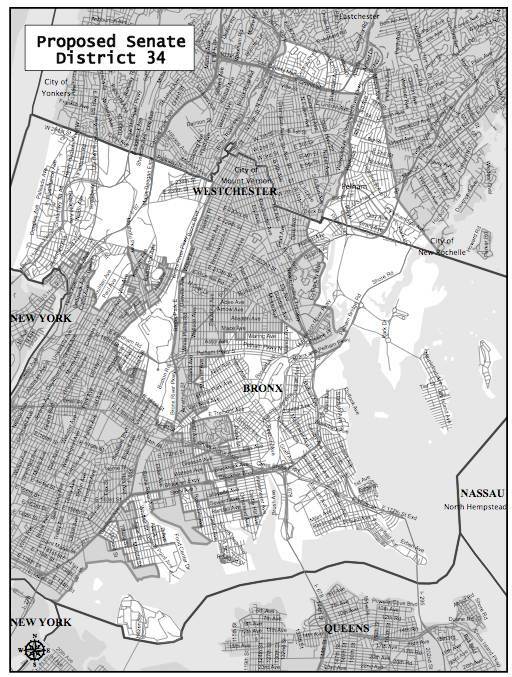 District 34: The White-People-Who-Live-in-the-Bronx-and-Some-White-People-from-Pelham-So-It's-Not-Too-Obvious-That-We-Literally-Drew-This-District-Based-On-Race-But-Ew-Make-Sure-You-Don't-Include-Mount-Vernon-It's-Kinda-Sketchy-There-If-You-Know-What-I-Mean District. This is why I just can't get into politics. I've been thinking a bit about how forward looking city investment has been, how this sort of thinking changes over time, and what factors might lead to changes in the "forward looking-ness" of this sort of investment. At first I didn't even really consider changes, and considered the effect more exogenous. I would think that it's simply politics, something that changes at the whim of society, and ends up framing how long term investment ends up happening in a city. The one example that always gets me considering this is the New York City subway system. I would always think how ridiculous the current capital projects are when you compare it to the subway's history. 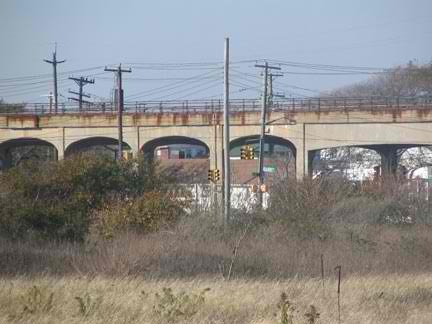 Subways were originally built to farmland. There was no existing demand, it was assumed that people would begin moving up there around subway lines as the city developed. Today, the MTA is officially working on two line extensions entirely within Manhattan, one of which through the densest neighborhood of Manhattan. While it makes sense to build infrastructure where it will benefit the most people, and that place is exactly where the MTA is working on it, it's obvious that the subway was formerly developed for FUTURE use, and with an eye out for how the subway would effect the development of the city. Looking at this degree of forward future consciousness a bit more however, I ended up coming up with a few alternative explanations. one is the fact that the subway was originally developed by private companies that had their own real estate interest, where it makes sense to build subways to your own developments where remote land is cheap, whereas now the MTA is more controlled by the government which exists to serve the current population. More interesting however, because it's a relationship that can be tested elsewhere, is simply the fact that development becomes less forward looking as cities or infrastructures themselves age. A blank slate lends itself to grand plans without precedent, while an older city and infrastructure is thought of as "set" and the framing of any investments change from future inhabitants to the current inhabitants. This is interesting because it's obvious we should always take these future considerations into account, and if this relationship really does exist, then there is some sort of systematic bias towards stagnation in older cities that can be predictably accounted for.